Want the Bible to leap off the page? This lovely book is well written with the stories from the Bible told in a form and length that make great spring-boards for talking with children about the themes and message of the Bible in an age appropriate language. 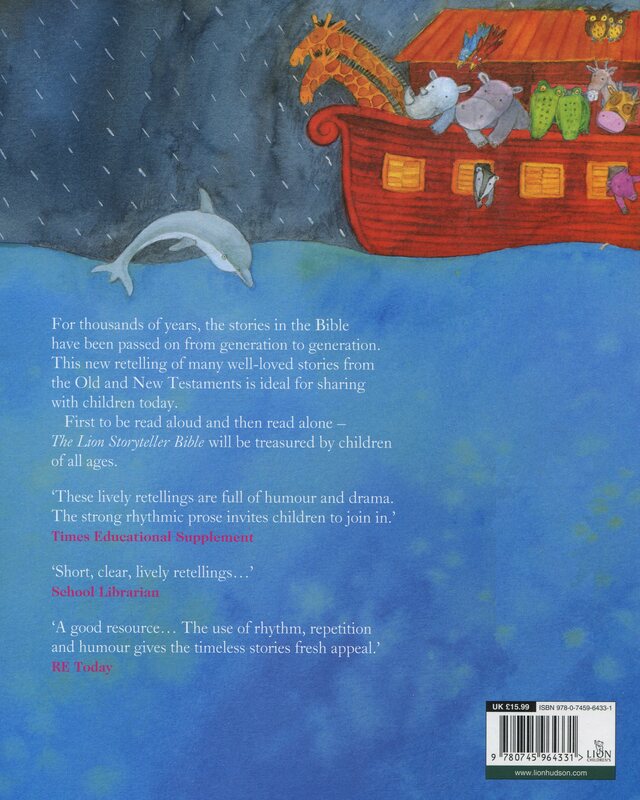 This further re-issue The Lion Storyteller Bible's highly acclaimed 2008 version integrates more than 20 new Bible story re-tellings with the 50 tried and tested stories of the 2005 original. It also includes a useful appendix of Bob Hartman's hints and tips for storytelling, as well as 4 CDs on which the stories are narrated by voice-over specialist, David Holt. Newly commissioned illustrations throughout will capture as much warmth and appeal as those in the first (2005) edition. The Lion Storyteller Bible broke new ground in its presentation - both verbal and visual - of Bible stories. It has been immensely popular, with sales in the UK exceeding 130,000 copies and editions printed in more than 11 languages. Since The Lion Storyteller Bible was first published Bob Hartman has established an international reputation as a storyteller and writer. 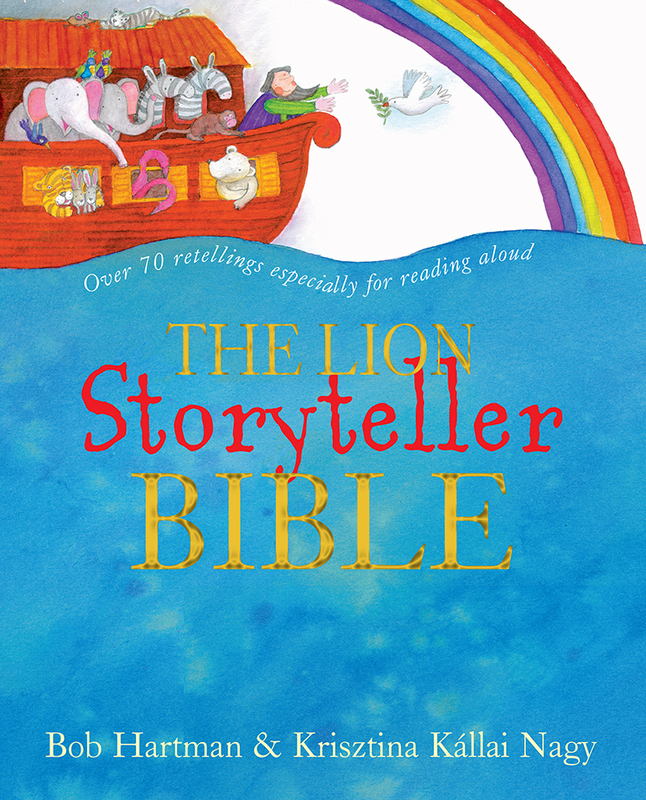 The Lion Storyteller Bible by Bob Hartman was published by Lion Hudson in March 2016 and is our 229th best seller. The ISBN for The Lion Storyteller Bible is 9780745964331. Friends, our school visitors use this Bible as the story basis for School Assemblies in our Junior Schools and we've presented several to youngsters over recent years. Using the CDs as 'bedtime story' sources is popular. John, Pastor, Ilfracombe Baptist Church. I love this re-telling of many many Bible stories. I sent one book to a family in Uganda, and have just returned from Kenya where I left a copy at a Christian School. I would like to buy this book but cannot find it on your site. Help please. A:The latest date for this item is 2013. Thank you for using the Q&A Forum. Is this the edition of the Lion Storytellers BibleBook for telling stories in school assemblies please with Open the Book? A:This is the storytelling Bible used in Open the Book assemblies as it has an emphasis on out-loud storytelling which suits the Open the Book programme. Thank you for using the Q&A Forum. Now Playing: In the Beginning Your browser does not support the audio element.